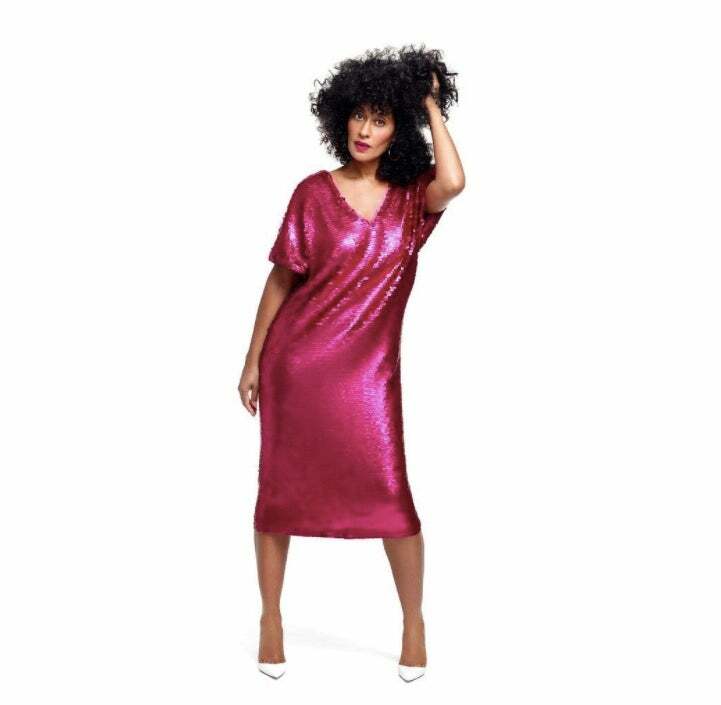 Tracee Ellis Ross Is Designing A Holiday Fashion Line, And It's Beyond Fierce! Apparently fashion wishes do come true! One of our favorite actresses and style icons Tracee Ellis Ross is designing a fashion line, and we couldn’t be more excited! Ross just announced that she’s partnering with JCPenney on a holiday collection. The most exciting part about the upcoming 45-piece collection is that it will be affordable, and available for all body types. Everything will be priced at $75 and under with some items starting as low as $9, and sizes will range from small to 3X. We already have our eyes on that fierce Glow Dress which will be perfect for any holiday party, and that badass Heaven Tux jacket and pant. Ross is the latest of several celebrities to collaborate with a major brand on a fashion line, and one amazing thing they all have in common is that they’re size-inclusive! Danielle Brooks recently teamed up with Universal Standard on a plus-size collection, and Gabrielle Union partnered with New York & Company for an exclusive collection for fall. LaLa Anthony also recently lent her design talents to Lord & Taylor. Be sure to mark your calendars for November 12, which is the day Ross’s holiday collection will drop at JCPenney.